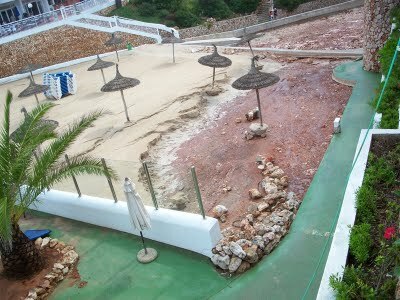 On 29th September 2009 Mallorca experienced the storm of all storms. 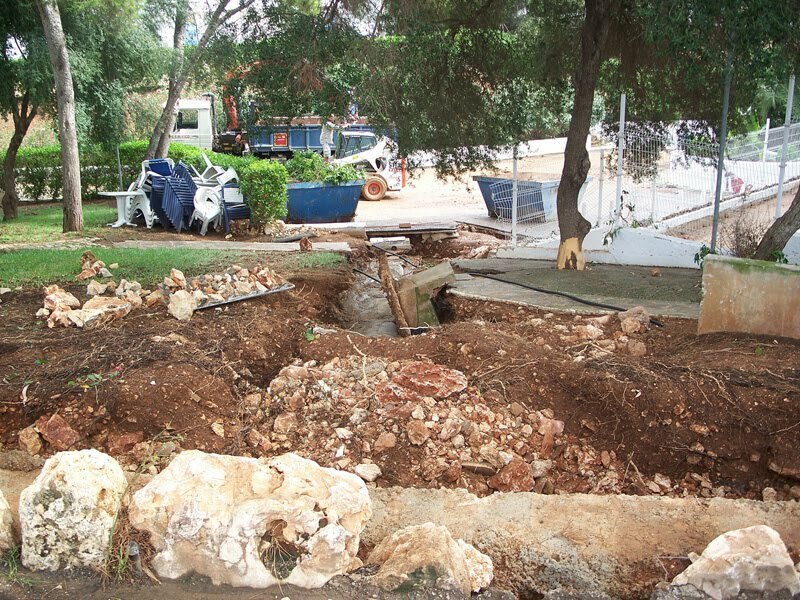 The storm lasted several hours and caused flash floods which damaged many properties and hotels. Also the severity of the flash floods caused by surface water running down roads to rip the road surface up in huge sheets exposing the bedding allowing it to be washed away making some roads impassible. Also when the water reached the beaches & coves, the flood water washed away the beach sand leaving just bed rock in place of the previous lovely beaches. 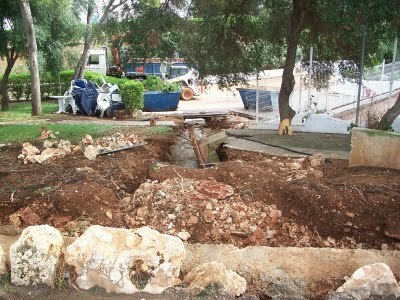 The Mallorcan government and council were very quick to react, having the beaches reinstated and roads repaired. While there is still worm to be done, already normal service has been restored. Fortunately our properties in Cala Egos were virtually untouched.